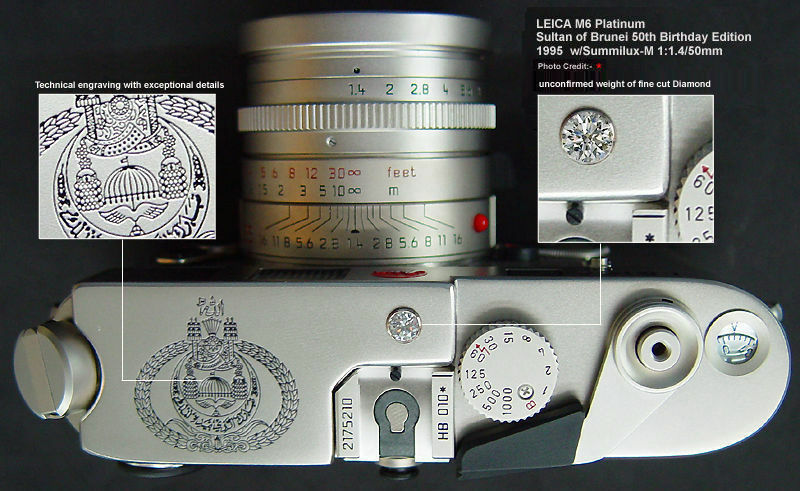 As Leica has increasingly moved away from its historic origins as a working camera and been transformed into a luxury commodity, it has been criticized by purists for what many think a craven pandering to excess – witness the “Sultan of Brunei” Special Edition Leica of 1995. The reality is somewhat different. 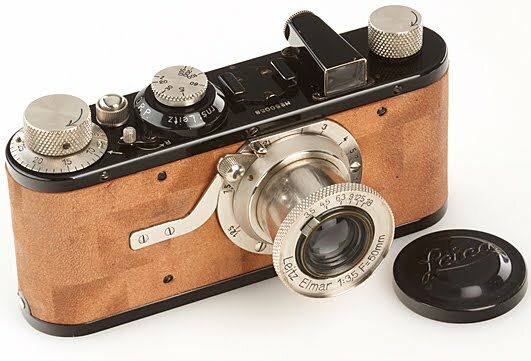 As early as 1929, only 4 years removed from the introduction of the original Leica A, Leitz was offering “for a small extra fee” a dyed calf leather covering in place of the standard vulcanite. The discriminating Leicaphile had the choice of 4 different colors: green, blue, red or brown. In the same year, Leitz also introduced the “Luxus Leica,” a standard Leica A plated in matte gold and covered with red lizard skin. A rare calf-leather covered Leica A from 1930 – one of only three examples known to exist – sold for 120,000 Euros in 2011. Unlike the gold-plated Luxus, the calf-leather Leica A is understated, and in my opinion very beautiful. In 1957, Leitz offered a gold plated M3 complete with gold meter and collapsible Summicron; in 1979, a 1000 unit run of gold M4-2’s were produced with gold accented Summilux; and in 1984 a 1000 unit run of gold R4’s. All proof that tastelessness and wretched excess have co-existed since the beginning with leicaphilia. This entry was posted in Cameras, Collectible Leicas and tagged collectible leicas, Leica A, Leica I, Leica M3, Leica R4, luxus on May 17, 2013 by Leicaphila.